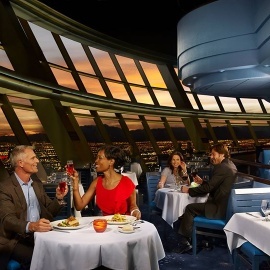 Located more than 800 feet above the Las Vegas Strip in the Stratosphere Casino, Hotel & Tower, the award-winning Top of the World Restaurant offers an unparalleled dining experience. 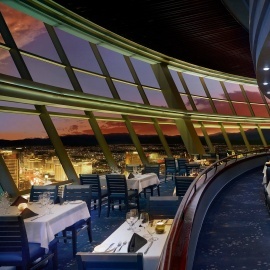 Enjoy breathtaking views of Las Vegas as the restaurant revolves 360 degrees every 80 minutes. We look forward to exceeding every expectation in one of the most unique restaurants around the world.